Product categories of Medium Cage Trap, we are specialized manufacturers from China, Medium Cage Trap, Animal Hunting Traps suppliers/factory, wholesale high-quality products of Folding Animal Trap R & D and manufacturing, we have the perfect after-sales service and technical support. Look forward to your cooperation! Squirrels, rabbits, cats, those criminal will entirely rob you by messed everything up. And also showing up everywhere just left you in exhausted situation. 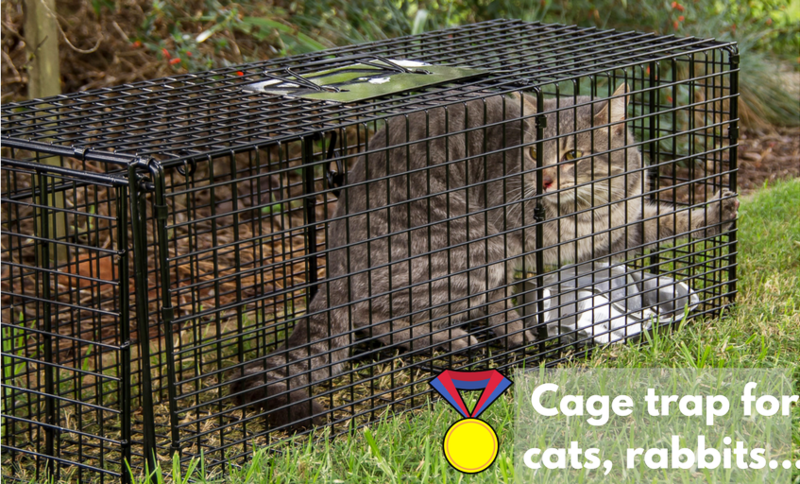 Then a Medium Cage Trap primarily will help to work without blooding to those furry things. When the mouse enter the cage and the mechanism triggers, the medium Cage Trap will instantly close. The animal can be transported and released elsewhere or killed.